With the World Cup 2019 just over the horizon and murmurs of disappointment over the new format of the tournament, Nepal and UAE are set to play each other in the second of three ODI set to take place in Dubai. After a great match in the first instalment of the series, the teams would be raring to make an impact with the series at stake. With the likes of Sandeep Lammichane and Chirag Suri pitting their wits against each other, quality cricket is expected from both the aspiring and ambitious nations. With Rohan Mustafa not available for the series, Mohammed Naveed has been given captaincy which should see the pacer include Mohammed Usman and Chirag Suri for the first ODI. Shaiman Anwar's performance would be key to the UAE's fortunes in Dubai. Their bowling was on-target in the previous ODI and would be called upon once more to tackle Khadka and co.
Possible XI: Ashfaq, Suri, Usman, Boota, Shaiman, Ghulam(WK), Naveed (C), Haider, Nawaz, Hayat and Qadeer. Paras Khadka and Sandeep Lamichhane are key to this young Nepal side who are without a few regular players. Dipendra Airee is one to watch out for during the whole series along with KC Karan. The side looks fairly balanced with Kami and Regmi in the lower-middle order doing well for them in the recent past. More is expected of the side with the bat after a dismal show on Friday. Possible XI: Malla, Bhandari(WK), Khadka, Airee, Sheikh, Kami, Regmi, KC Karan, Sarraf, Lamichhane and Rajbanshi. Wicket-keeper: Ghulam Shabber is the ideal choice with the UAE keeper being one of the most dependable batsmen in the side. Bhandari's lack of technique goes against him but would be a brave choice. Batsmen: Ashfaq Ahmed, Chirag Suri and Gyanendra Malla are the ideal choices with all three top-order batsmen among the best of their respective sides. Malla wasn't able to trouble the scorers in the last match and should put up a good performance without fail. All-rounders: The Nepalese trio of Kami, Airee and captain, Khadka are invaluable picks for your fantasy sides. Khadka is one of Nepal's best players with him batting at number 3 and bowling crucial overs in the middle phase. He is a must-have in any fantasy contest for this ODI. Bowlers: Sandeep Lamichhane and Mohammed Naveed are the star attractions of their respective teams and seldom fail in crunch matches on the national stage. Both of them are very crucial picks along with Amir Hayat and Imran Haider. Both Haider and Hayat were brilliant in the previous ODI and will be handy picks to round off the fantasy team. Captain: Paras Khadka and Chirag Suri are the prime contenders for captaincy while the likes of Sandeep Lamichhane and Kami could also be tried in what is a crucial match for the Nepalese Cricket Team. 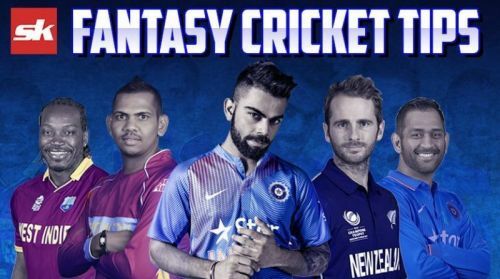 Fantasy Suggestion #1: Ghulam Shabber (WK), Chirag Suri, Gynanendra Malla, Ashfaq Ahmed, Sompal Kami, Paras Khadka, Dipendra Singh Airee, Sandeep Lamichhane, Mohammed Naveed, Imran Haider and Amir Hayat. Captain: Paras Khadka.